Looking for a job can be stressful and exhausting. Job seekers can be quickly overwhelmed when they’re trying to find a job, which can make turning to industrial sales recruiters in Milwaukee an attractive option. However, all recruiters aren’t created equally, which means that job seekers need to know what to look for to make sure they’re working with the right one. Before you work with a recruiter, use these tips to ensure that your job search will be a success. One of the easiest ways to know whether industrial sales recruiters in Milwaukee are legitimate is to ask about their pricing. Quality recruiters will never ask an applicant for a finder’s fee, but this doesn’t mean that they’re working for free. The company looking to fill a position should pay the recruiter’s fee. Until you get to know industrial sales recruiters in Milwaukee, you’re only a name on a resume. This is why it’s vital that your resume is up-to-date and carefully crafted. Take care to proofread it closely so that your resume provides the very best impression of your work history and your skills. A recruiter shouldn’t promise an applicant a job. A recruiter’s goal is to find a qualified applicant for their client — a company. If you come across industrial sales recruiters in Milwaukee that guarantee that they’ll find you a job, keep looking. These recruiters may be more interested in filling a quota and the job might not be one that you’re interested in. Additionally, watch out for industrial sales recruiters in Milwaukee who guarantee a specific salary. Although your initial dealings will be with the recruiter, it’s the company that has final hiring approval, including salary ranges. Industrial sales recruiters in Milwaukee have one initial goal — to connect qualified applicants with potential employers. However, when you’re looking for a job, you need to be proactive — even with industrial sales recruiters in Milwaukee. These recruiters can have hundreds of applicants and it may be difficult for them to remember each and every person that they talk to. To help keep your resume at the top of their list, make sure that you’re following up with them on a regular basis. You may not be right for one position, but you never know what will open up down the line. If you’re looking for a job, turn to The Lawler Group, industrial sales recruiters in Milwaukee. 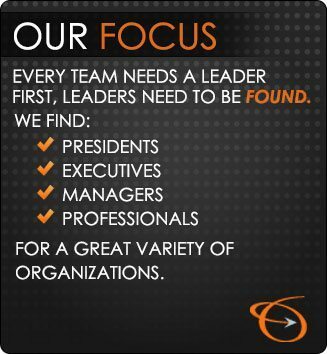 We hire the best managers and executives within the industry and our client list proves that we’re great at what we do. If you’re interested in our job openings or learning more about how we can help your company find an ideal candidate, please visit our website at https://www.lawlergroup.com/contact-us/.